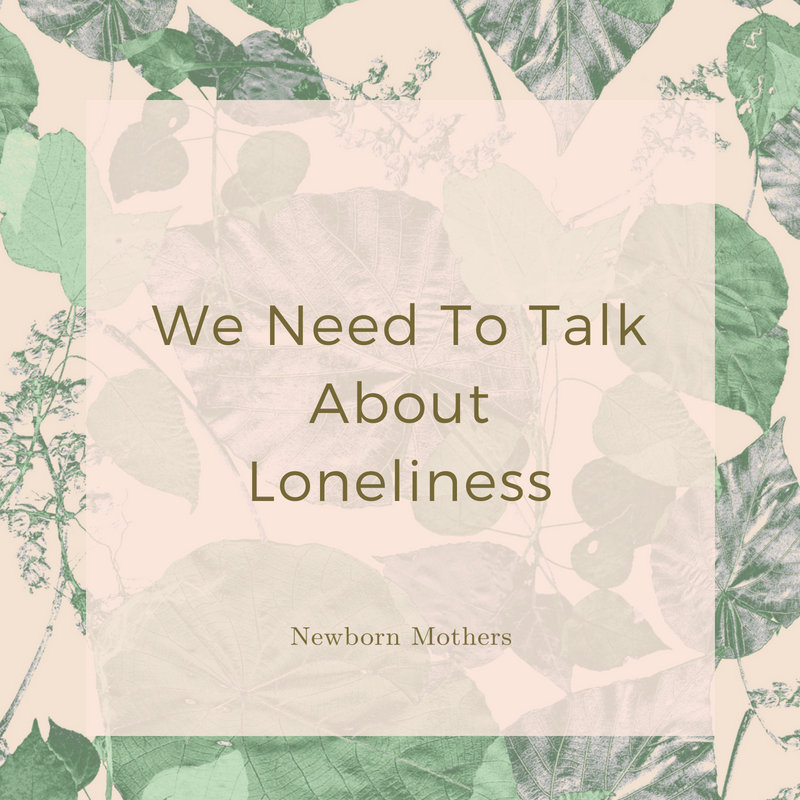 Many mothers I talk to feel lonely and isolated. Statistically speaking, 1 in 5 people report they are lonely and that’s a lot, but I’m sure that number would be much higher for new mothers. Mothers usually only admit to their loneliness in private, safe spaces. It’s as though they feel ashamed or embarrassed, like feeling lonely is somehow a failure in our independent culture. But what if instead of being ashamed of our loneliness we start to see it as a signal that somethings got to change, a reminder to take action? Dr John Cacioppo is a thought leader on loneliness and he explains that loneliness is simply a way of your body telling you to connect. When you feel hungry, you know it’s time to eat. When you feel thirsty, you know it’s time to drink. And when you feel lonely it’s simply an ancient survival mechanism telling you to connect, to lean into relationships. You wouldn’t feel embarrassed or ashamed of feeling thirsty, you would just have a drink! You would know that if you didn’t drink when you are thirsty your health would be compromised. Likewise, we compromise our health when we don’t act on the feeling of loneliness too. Loneliness can literally kill you. Most of us are now well aware of the impact on our health by environmental choices like smoking, poor diet or lack of exercise, but few of us consider the impact of social aspects of life. But the impact of loneliness and social isolation is actually comparable to risk factors identified by the US Department of Health and Human Services such as obesity, substance abuse, access to health care and mental health. The Harvard Study of Adult Development found the same thing when they studied over 700 men for 75 years to unlock the key to health and happiness in their work and homes. Loneliness kills. People who report they are lonely are less happy, less healthy, their brain function declines and they die younger. Having a village is not nice, it’s essential if you plan to live a long, happy, healthy life. So here are some ideas on how to turn that feeling into action. The important thing to keep in mind when trying to combat loneliness is that social interactions need to be frequent and regular. Once is never enough, so routines and habits becomes important. Join something that is every week like book club, mothers group or an exercise class. Listen to that loneliness, it’s sharing an important message with you.